Preparing a webinar can be quite timely. Especially when you get stuck in presentation visuals preparation. Choosing a proper picture, making slides clear, crafting a right call to action message… Does it sound familiar? This blog gives you a few ideas on developing webinar slides and organizing web conference flow. 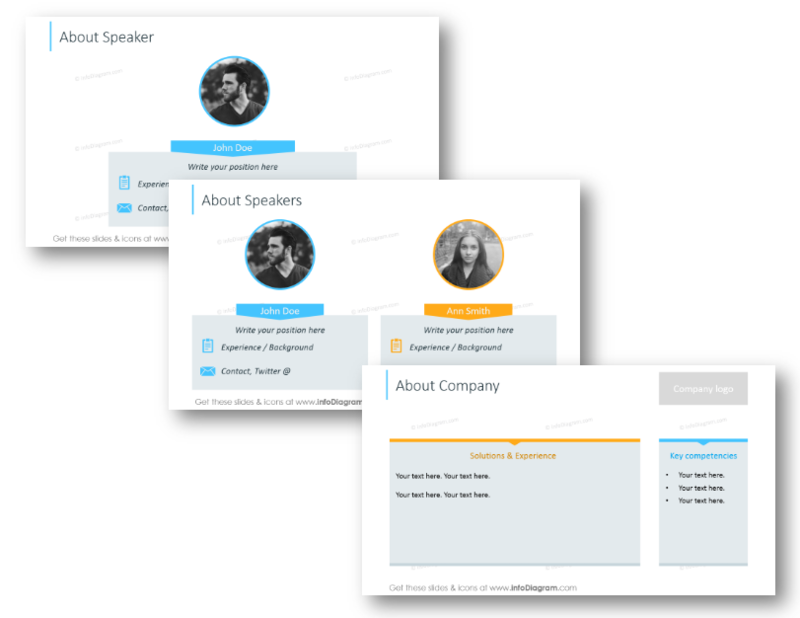 Creating a reusable webinar template can ease up the content creation process. The graphics ideas we share here can be handy for people who decided to build the business through webinars as well as for the ones holding an occasional online training. 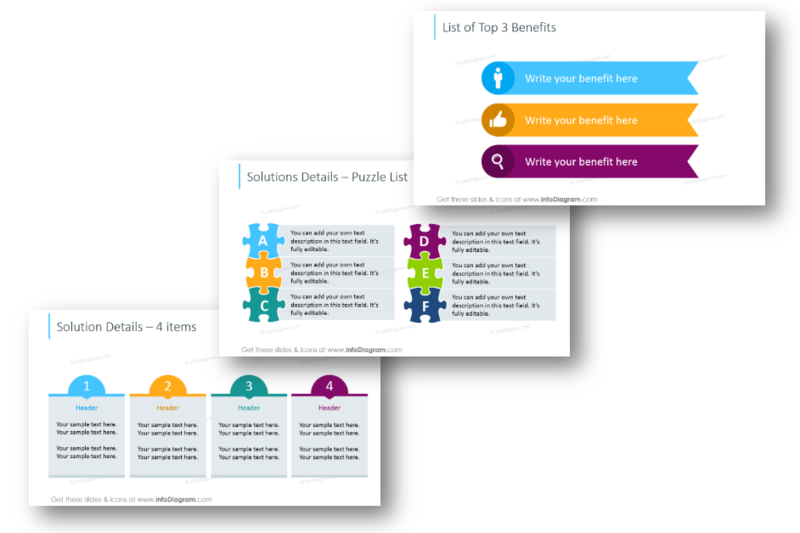 Note: all presented slide layouts can be found in Webinar Presentation of Problem-Solution template. 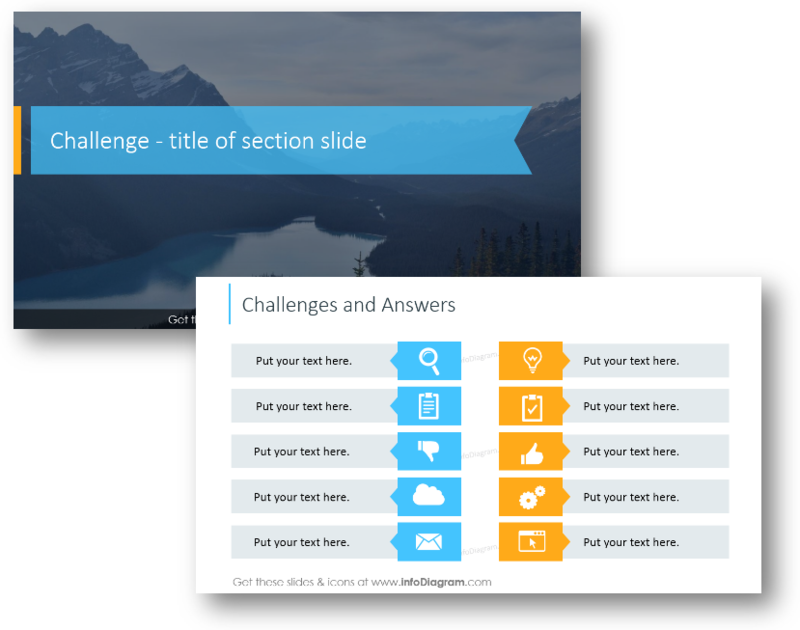 We use the PowerPoint slides here, the most common format used in e-learning and online conferences. 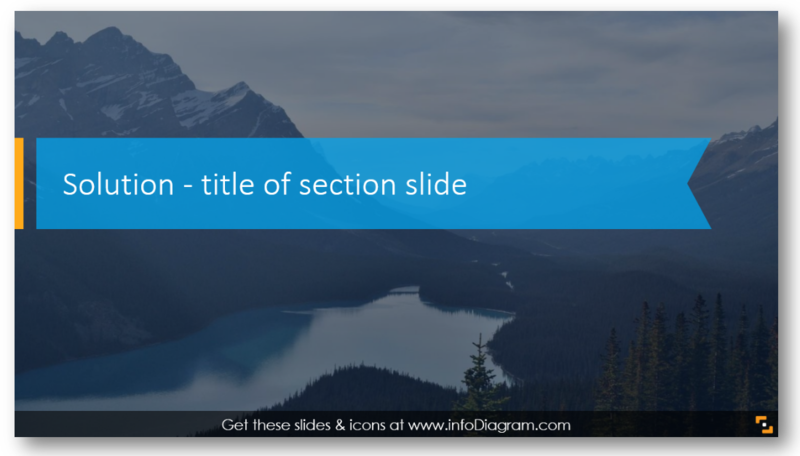 Using Microsoft Office 2013 and newer additionally allows you to export the slides as video (see an example of such exported PPT to Youtube videos here). If you want to learn more about webinar content and its preparation, check this post by KissMetrics. 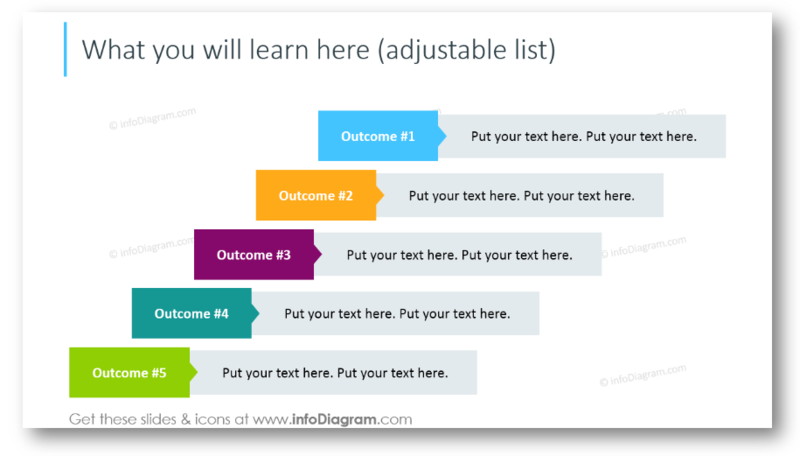 Let’s go over the common webinar structure, that you can reuse for your own presentation (click on pictures below to see the source graphics). Usually, it includes the webinar name, and the presenter’s name and title. Optionally you can put the date. However, don’t overload the first slide. Let participants gather, focus their attention and then move to the next points. 2. 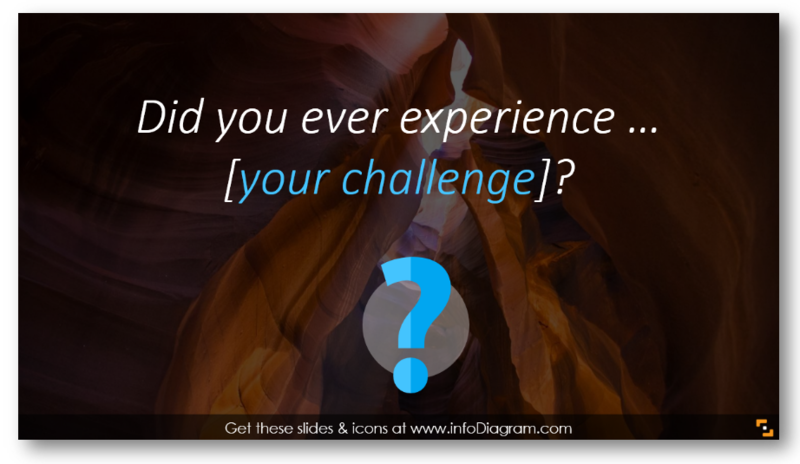 Have You Ever Experienced Similar Challenge? 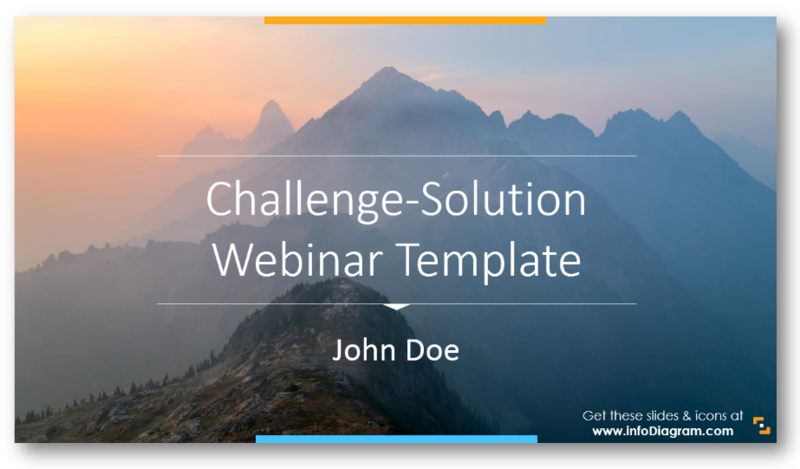 As we designed this template for the problem-solution webinar, the opening question slide asking about the main challenge of listeners will suit well in the flow. 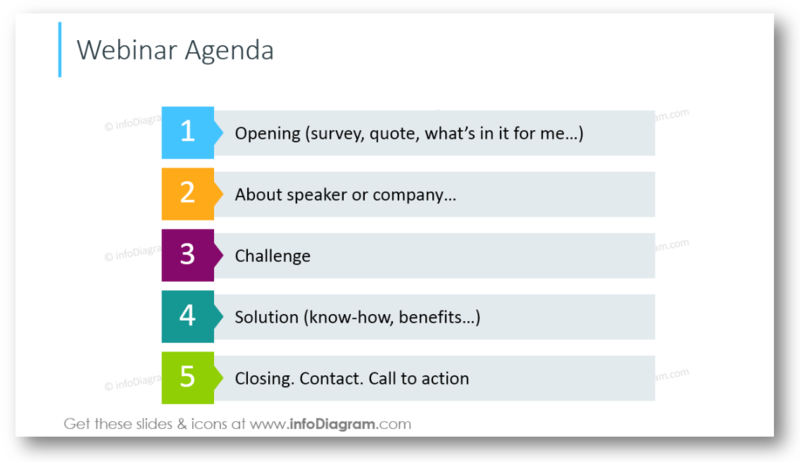 Even if you’re holding another type of webinar, it would still be a good idea to address your audience. It’s a good practice to show listeners what they will get from the next hour. Of course, if they are attentive enough 🙂 Present outcomes in such a creative way, not just bullet points list. 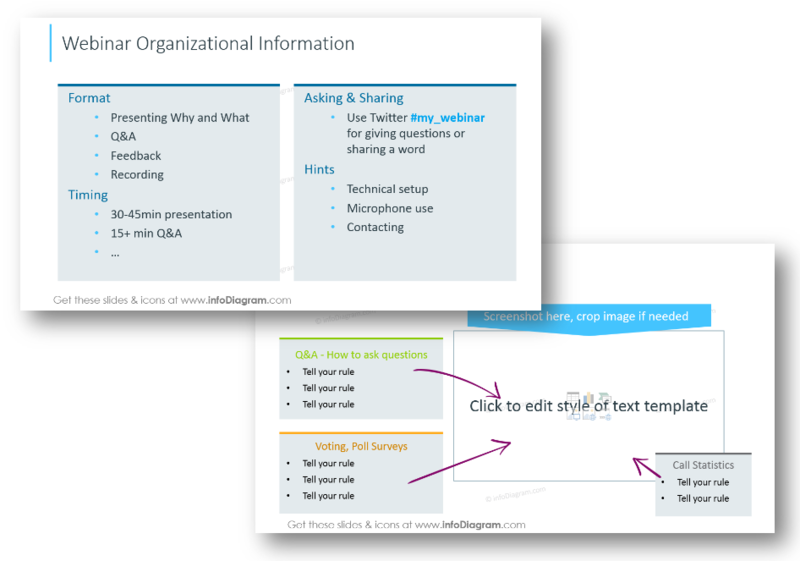 Spend some minutes to explain organizational stuff: webinar format, timing. Encourage people to ask, share and give them a few hints on how they can get the most out of the session. The next slide is for demonstrating web-conferencing app setup. Give an instruction on how people can ask questions, how to use a microphone, vote in polls, if the webinar will be recorded. Don’t forget about stating what’s duration of the webinar so people can schedule their time.You can easily insert there your screenshot. We recommend to include 4-6 most important points here. It will help people to set clear expectations for the webinar and give a preview. 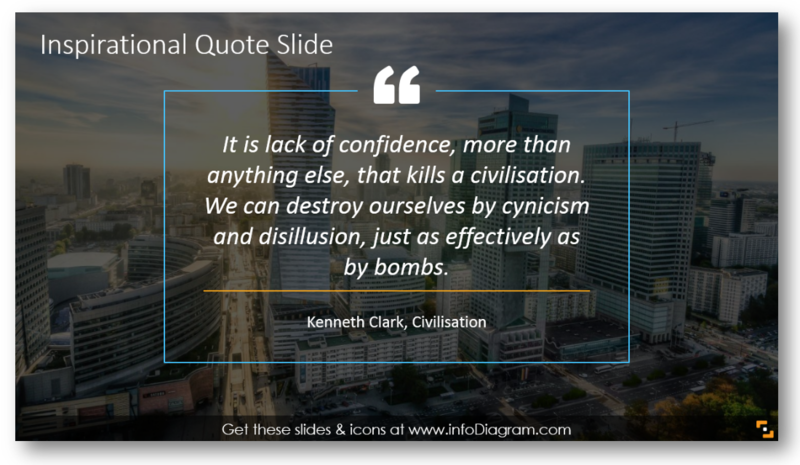 Quotes are a great way to add an inspiration element to your presentation and in the case of the webinar – to set a mood of web-course. Appropriate quotation adds a credibility to your topic. The text can be easily altered. See our SlideShare to discover other ideas for designing a quote slide. This slide is for putting the basic information about speakers. In case you’re having an interview webinar, it will be useful for the listeners. Optionally you can add information about a company, its logo and what it does if this is a commercial webinar. Let the participants vote, encourage them to share their opinion. 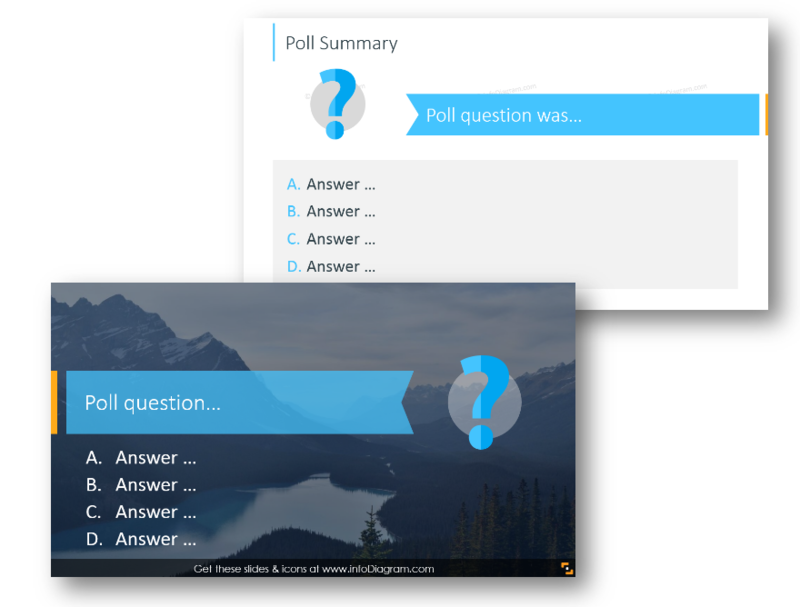 This template allows you to present the poll question and answer options, and the next slide layout can be applied to present results. A good idea is to incorporate some interesting facts, data from the market that support a point you want to make by the presentation. 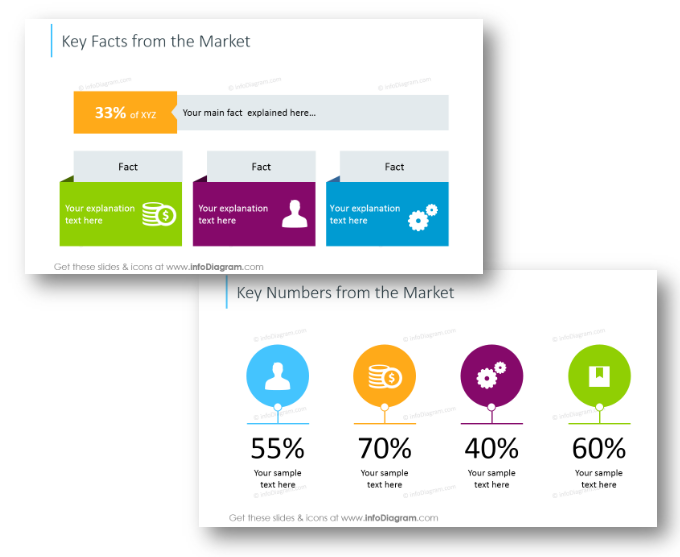 Represent the data by simple infographics using appropriate icon symbols and underline the key numbers, like in the picture above. You can easily adjust the numbers as you need. After you discussed all details, showed data from the market, it’s time to address challenges or problems people have. Add some details – list possible problem and answers. 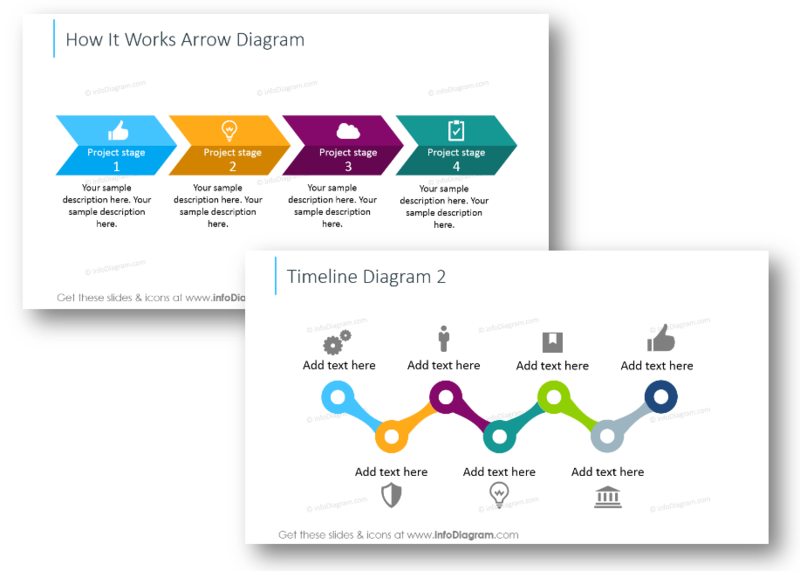 Illustrating your ideas with icons will help people to get on point faster. And then slowly build u a foundation for introducing your solution. 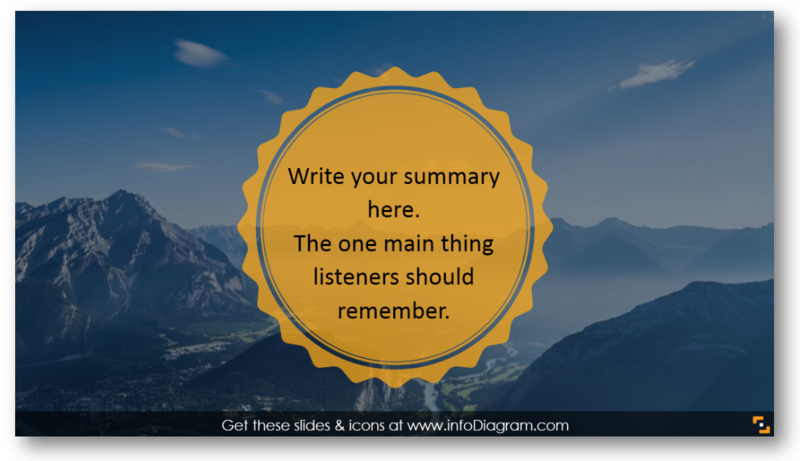 Make a conclusion – we recommend stating here one main thing you want listeners to remember. Time to ask people to take action: to contact you, to sign up for your service, to try your solution. Make clear actionable follow up, that has a time constraint, so people are motivated to act now. We added several actionable button designs you can edit and use. 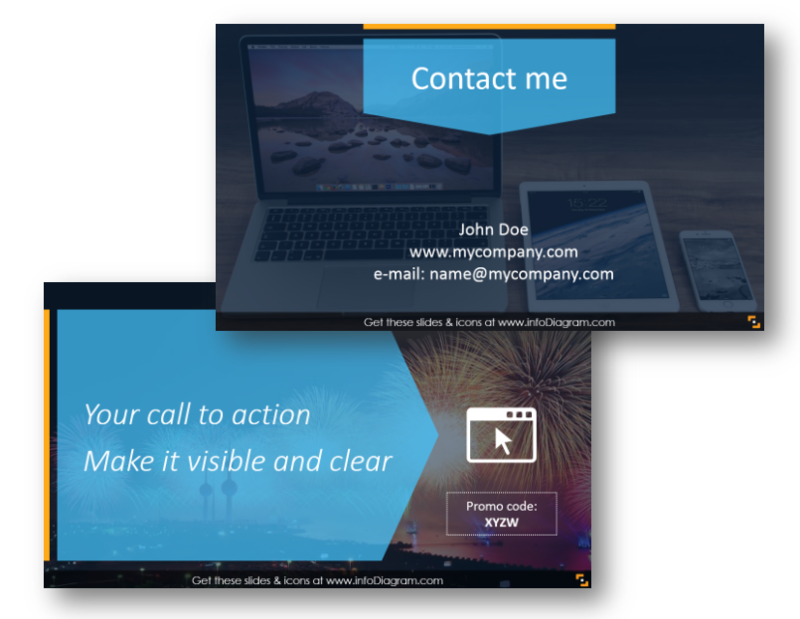 Look for other examples of CTA buttons here. Those are 14 ideas you can use to make your next webinar more engaging visually. Keeping the attention of the online audience is much harder than in face to face meeting. 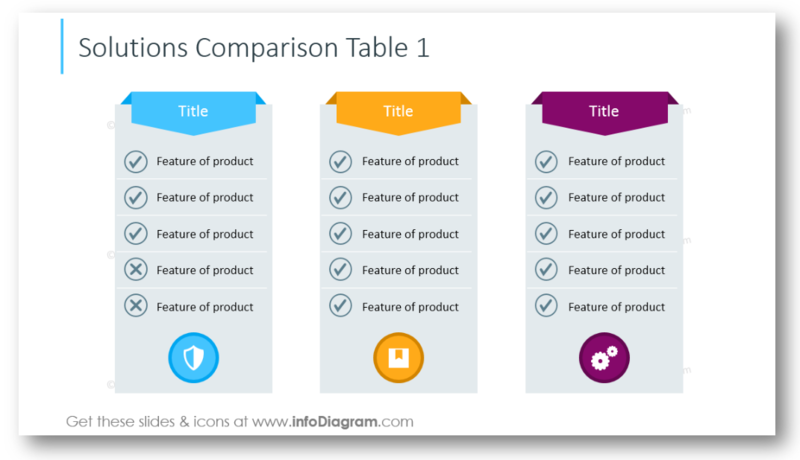 You must rely much more on presentation slides, as there is less direct interaction. Therefore we proposed you those dozen ideas how you can facelift graphically your webinar content. From a catchy introduction, via infographics-like agenda and finishing with a strong call to action. When properly used, those elements will help you to extend the attention span of your listeners. It’s prepared as PowerPoint file, however, you can use also other presentation software capable of importing PPTX files such as Google Slides or Keynote. 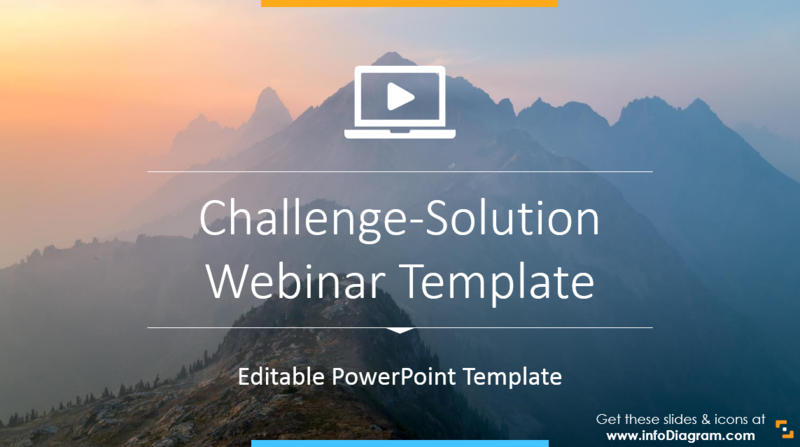 What’s inside the Webinar Problem-Solution PPT Template? 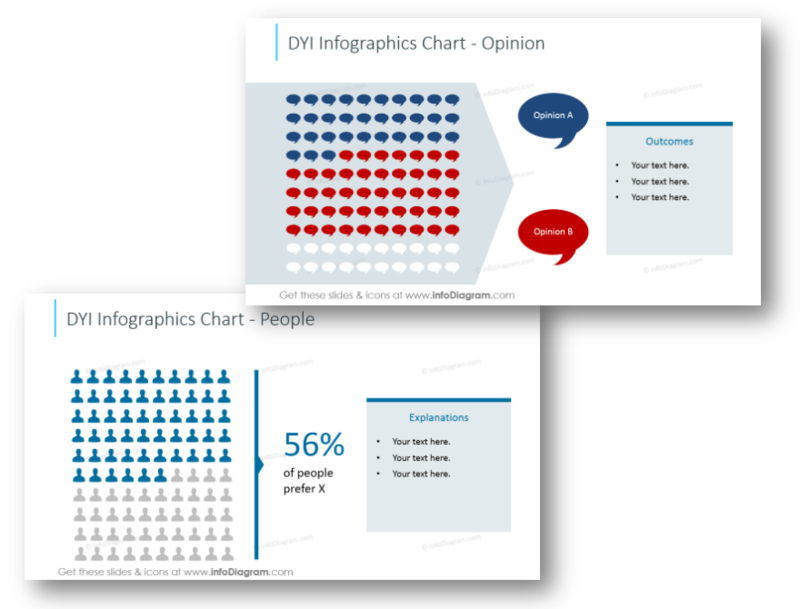 If you need to create another sales, strategy or training presentations, then check more slide graphics at our Business & Marketing diagrams page.